I don’t think there’ll be anything more incredible this year in golf than the finale of the Open Championship this weekend. It’s even more amazing because it comes off one of the biggest highlights of the year thus far – Dustin Johnsons first major win battling against the head honchos and the penalty stroke fiasco to put on a masterpiece. Yet under the “2016 Golf Highlights” that one is easily put down to #2. Stenson and Mickelson had an absolutely amazing duel. While I personally had no horse in the race I was conflicted – my friend had Stenson to win and I was cheering him on for that, plus oh man I just love the way Mickelson can come out of nowhere like that. What was interesting was the lack of the top 4 as well in DJ, Spieth, Day and Rory. I wasn’t sold on any of them last week but I threw money on Spieth which was just like throwing it in the toilet. 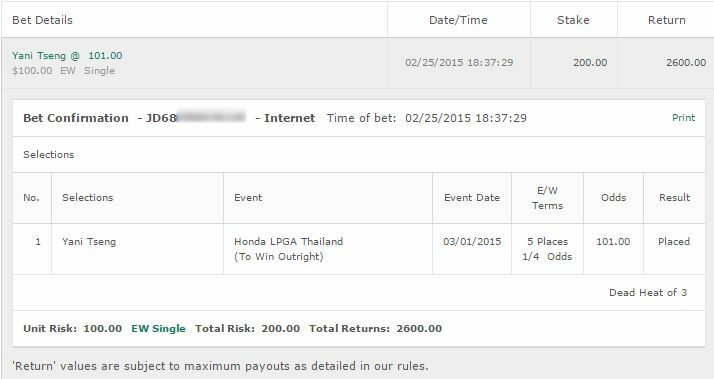 Nothing huge but it was nice to get a slight profit and be able to sit back and enjoy that amazing duel. 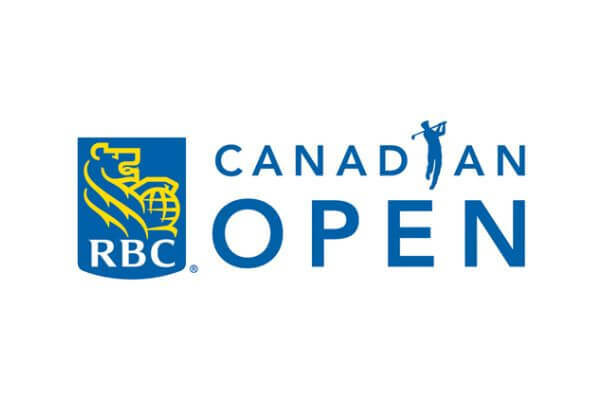 This week there’s nothing in the European Tour, but there’s the RBC Canadian Open in the PGA. It’s featuring two of the big name players in Jason Day and Dustin Johnson. 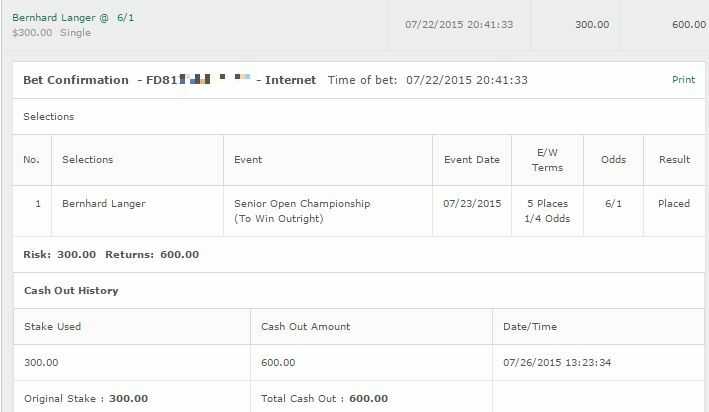 First up a small quarter unit bet on Jim Furyk to win & E/W. Furyk isn’t coming into this on the best of form however this is a tournament he always performs well at and is a multiple time winner. To be honest other than that US Open 2nd place finish his form has been quite poor and there’s courses he’d usually eat up he’s struggling at. I’m not fully convinced on him – but I feel his form at this particular course warrants at least a quarter unit bet. 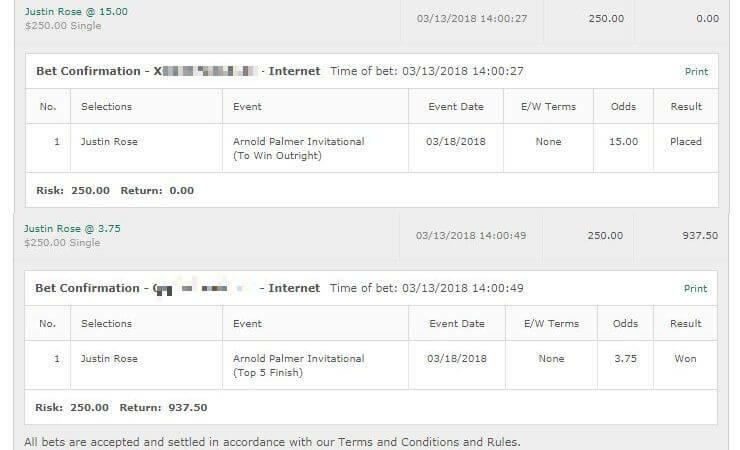 I also think it’s possible we could see a good duel at the top, and I’m going to take a half unit bet on Dustin Johnson to win. It was quite funny really seeing people write Johnson off after the Open Championship – I mean he came 9th and played extremely well! With 5 Top 10 finishes in a row and the chance to beat Jason Day the defending champion – you’ve got someone still in electric form who if motivated, should be able to do it. I just wasn’t too impressed with Day at the Open Championship. I think it’s going to take him a little bit of time to get back into the form we are used to seeing from him. Also a very dark horse pick of a quarter unit on Sam Saunders to win and E/W. 22nd last year here, Saunders has had some damn good performances at the Barracuda and Barbasol and seems to be on a good run of form after multiple cuts in a row.